It is a good phone but screen resolution is very bad and we cant do 2 thing at a same time. soda, 01 Jan 2013friends,my phone's memory is low... Any ways to increase phone memory? plz tell and help me.....pls Input Software In Your Mobile. 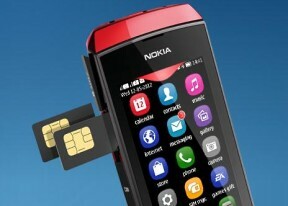 Why whatsapp isn't working in Nokia Asha305 ? it's a good phone at right price. good call quality, dual sim touch phone. sound quality loud..